When you need a fabulous tote bag to compliment an outdoor look. If your headed to the mountain resort, a librarian with books to carry each day, or a city traveler and need a durable canvas tote bag for all the day's stuff. This tote bag offers quality soft canvas material, handles are stitched with a neat contrasting trim in white. Fits a laptop, Ipad and just about any carry all item for the day. Sturdy but soft canvas with inside wall open and zip pocket. 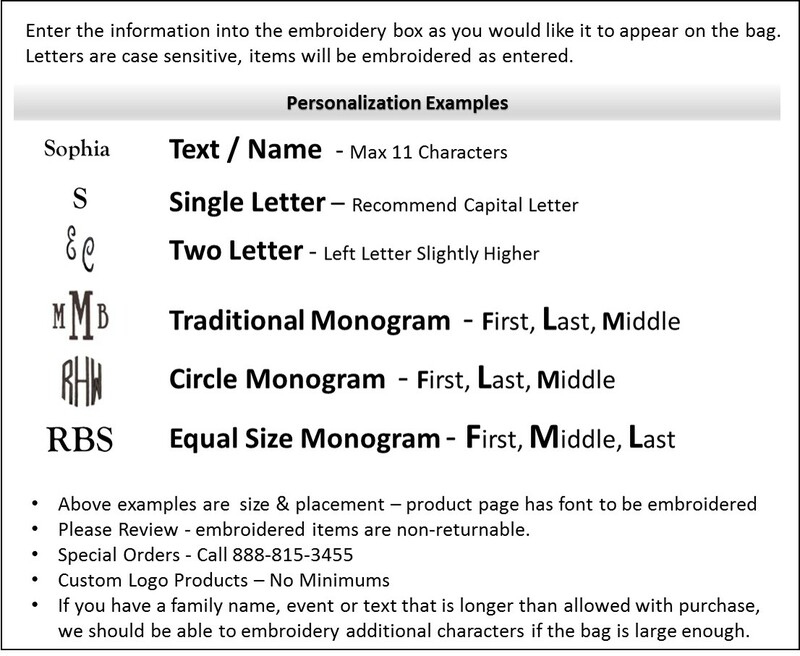 Monogrammed with your initials for a personalized tote bag. Monogram canvas carry all measures 15" x 15" x 6" across bottom. Zipper closure with comfortable over the shoulder carry straps.